Our line of multi-tip sparker sources based on our own negative discharge technology, together with our pulsed power supplies and ultra high res streamers, make up a complete solution for all kinds of seismic applications. Explore our gallery of products to learn more. 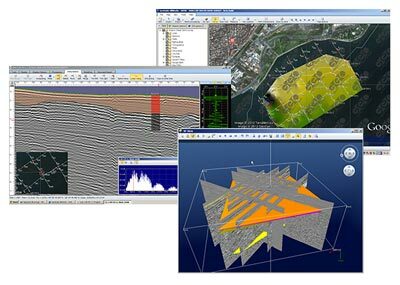 We provide software solutions for seismic data acquisition, navigation, post-processing and interpretation. Our innovative GeoSuite AllWorks package combines a powerful GIS engine with a simple to use user interface to improve productivity and provide the best quality results. We manufacture a complete range of geotechnical equipment for the investigation and sampling of the seabed and uppermost strata. Our line of products features gravity, piston and vibro coring systems. 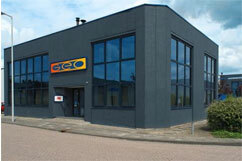 Each system is built with high quality materials and designed to be reliable and cost effective. The qualification of our personnel reaches further than just their experience. Our distinguishing characteristics are: motivation, flexibility, mobility and excellent knowledge of languages: Dutch, English, French, German, Italian, Portuguese, Spanish, Turkish, Thai and Chinese.